I love you purple lipstick, i love you so much. Maybe we can stay in touch. Meet me in another makeup bag space and time. Is it possible to have too many purple lipsticks? Duh. The correct answer is no. Obviously. I’m permanently on a purple lipsticks quest to find the perfect purple. 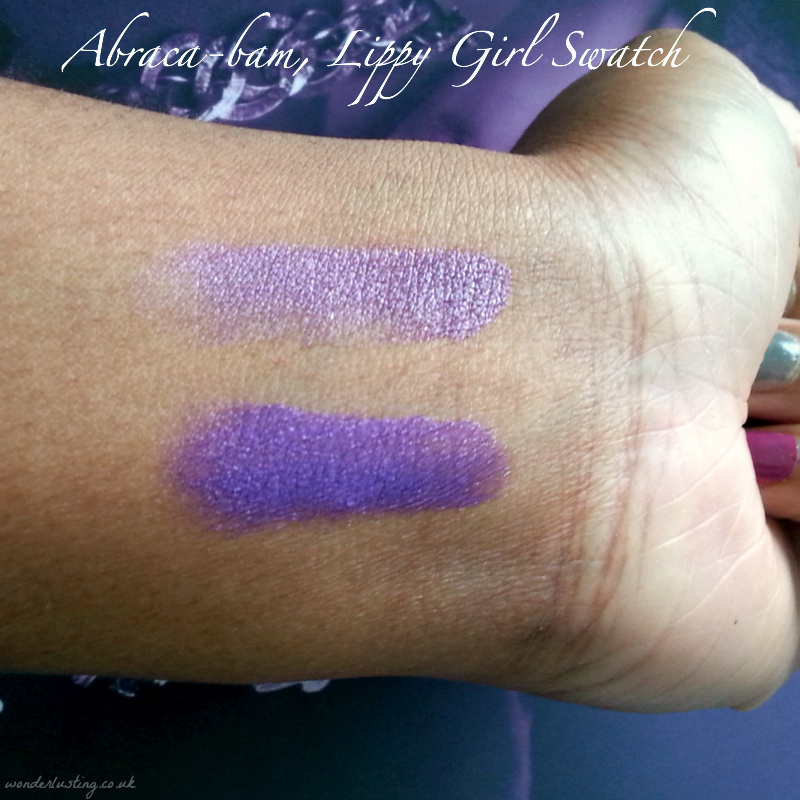 The latest cause of purplegasm is Lippy Girl’s Abraca-Bam Vegocentric Vegan Lipstick*. Lippy Girl is a Canadian natural makeup company, now available in the UK at Botanical Brands. The Vegocentric line of vegan and gluten-free lipsticks are made from organic and wildcrafted oils and waxes mixed with natural mineral pigments. It’s a fun range with bright and bold colours as well as the pretty and demure. I love that there are natural brands like Lippy Girl getting sassy and it’s not all unicorns and moonbeams. Anyway on to the lipstick. 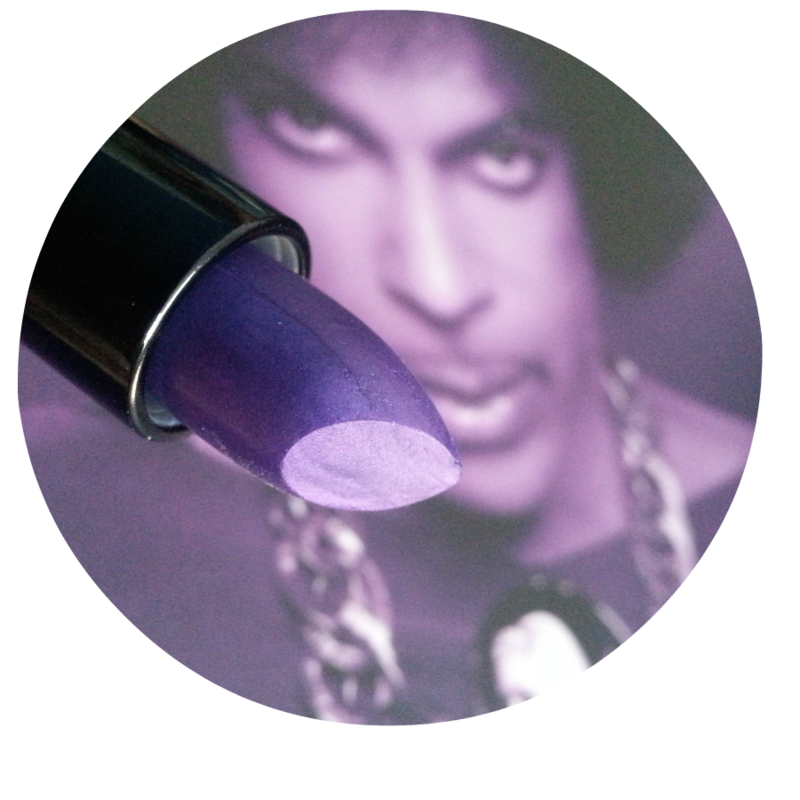 ABRACA-BAM, LIPPY GIRL VEGOCENTRIC VEGAN LIPSTICK Abraca-Bam is a true purple with a very slight irridescence. Would you look at that breathtaking colour. Swoon. The lipstick formula is really comfortable to wear and you can feel the nourishing properties of all the oils. Once applied it stays where it’s put and doesn’t slip all over the place. Like with all matte finishes, your lips need to be in good condition with no flakes if you’re going to rock this colour as it will cling to any dry patches. This applies better to the skin on my arm than the lips itself. It takes a few swipes to get the full intense colour on the lips and I couldn’t get it even all over. With each swipe, it seemed impossible not to disturb the previous layer. My top lip is darker than my bottom lip and I found I got more opaque coverage on my top lip. On my bottom lip, no matter how many swipes I could never get it to be as opaque as the top. Abraca-Bam is not a swipe and go lipstick. You wear it because you love the stunning purple colour and don’t mind making the effort it requires. The quest continues…. That color is amazing! You definitely pull it off too! It’s an incredible colour. Thank you! I ❤️ this colour!! It looks fabulous in you. Thank you! I 💜 purple!